I could show you a picture of that but imagine your worst case scenario. 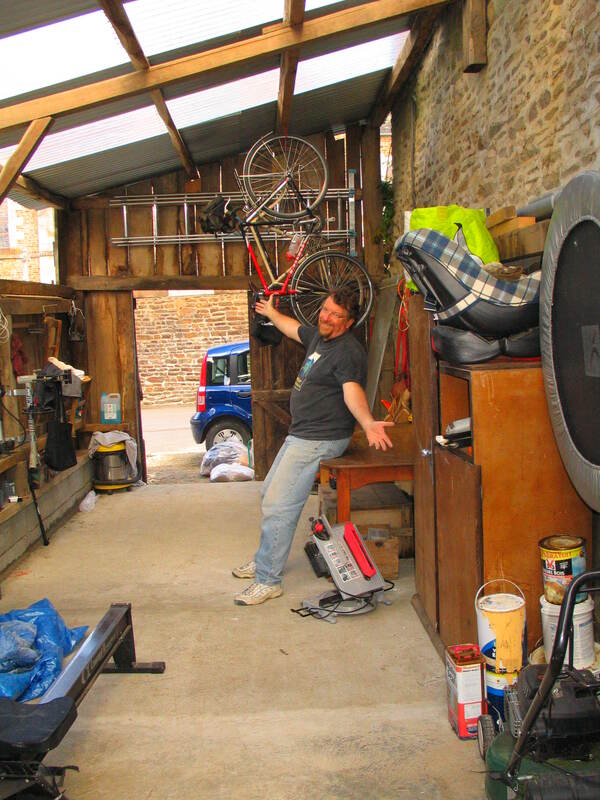 We threw everything in there, including the 2CV in the winter but it finally came time to upgrade the space, as it was a hugely utilitarian place where if we got it together, we could use it as our workshop for all projects henceforth. So we got it together. Two weeks, actually, of backbreaking work. 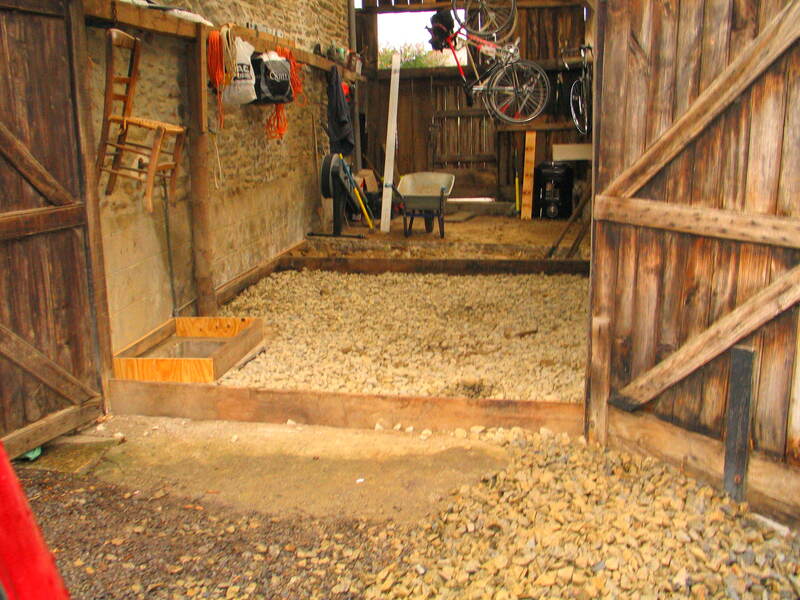 Liam dug out the floor, ax picked out the rocks from it, leveled and laid concrete. He did the bulk of it while I washed his dirties and kept him fed… save one day with dearheart friend Ronnie came over to do the actual pour. That took a day and then some. It’s done! Well, except for the windows..
He’s out there tinkering on his bikes, getting things in order. Light is pouring through the translucent rooftop… the door opens into the garden and the setting sun — and it’s a better world.